Stephen Dillard ’92 of Macon, Georgia, is the new president of the Samford Alumni Association. Dillard began his service in April and succeeds W. Todd Carlisle ’88, J.D. ’92 of Birmingham, who had served the past two years. 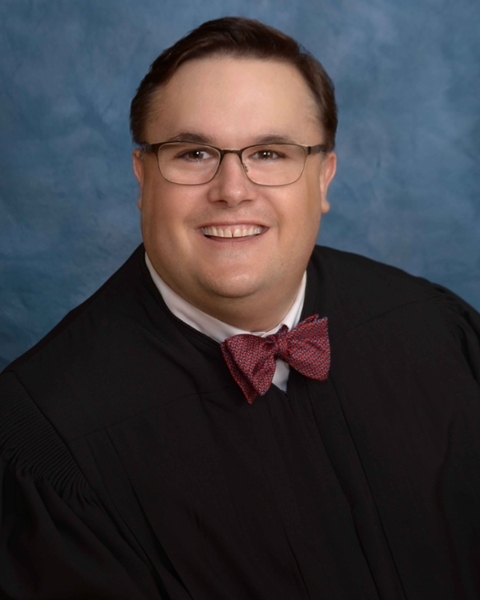 Dillard is Chief Judge of the Court of Appeals in Atlanta and has been active in the alumni association for several years. He was instrumental in the formation of the Samford Alumni Club in Atlanta and was named one of the 2017 Alumni of the Year. Wendy Davidson Feild ’99 of Vestavia Hills, Alabama, is the new vice president for committees. Feild also has been active with the alumni association for several years and had been serving on the alumni association executive council. She is a senior account executive with Gartner, Inc.
Brandon Guyton ’06 is the new vice president for development. Guyton is an account executive with HUB International Insurance Services in Dallas, Texas, and has been chair of the Dallas-Fort Worth Alumni Chapter. The new officers will lead the association for two-year terms through 2020. The alumni association’s executive council has representatives from all boards, chapters, clubs, schools and other areas of the university, according to Casey Ramey, Samford’s director of alumni programs. The Samford Black Alumni Association also has new officers who began serving in April. The SBAA is a part of the Samford Alumni Association. Jewel Littleton-Williams ’05, M.S. ’10 of Birmingham is president of the SBAA, succeeding founding president Isaac Cooper ’12 of Birmingham. Learning Little People, LLC. She has been active with both the SUAA and SBAA and is on the advisory board for Orlean Beeson School of Education. EW Motion Therapy LLC in Birmingham. He also serves on the School of Health Professions advisory board.